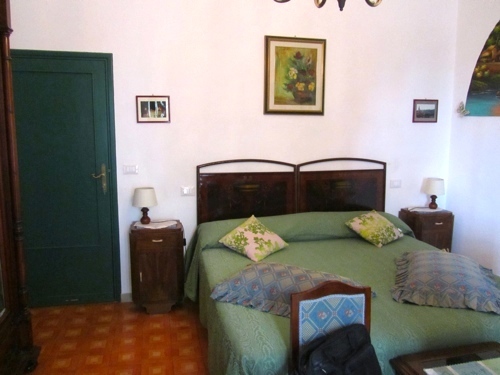 We usually stay at hotels when we travel, but we had such good experiences with bed & breakfast-style accommodations in Italy previously, that I wanted to do the same for our latest trip to Italy last summer. 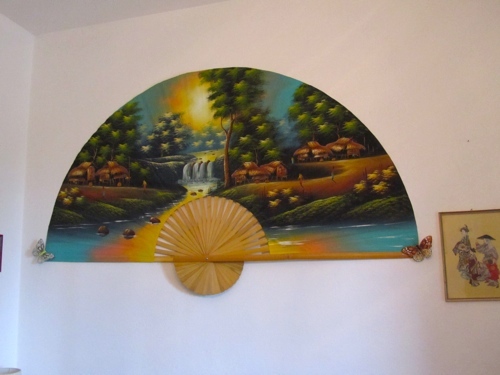 We were in Pisa for only one night, and we stayed at B&B Carla which I'd chosen based on the raving online reviews on both tripadvisor and hostelworld. And what a great choice it was! Carla and Mario were absolutely charming, super-friendly and very hospitable! They picked us up at the airport where we'd arrived from Paris, welcomed us into their gorgeous home and passionately explained their city. Mario even drove us to the main part of Pisa and picked us up again after dinner! The chauffeur service was unexpected and very much appreciated since I was 5 months pregnant travelling with a young child. 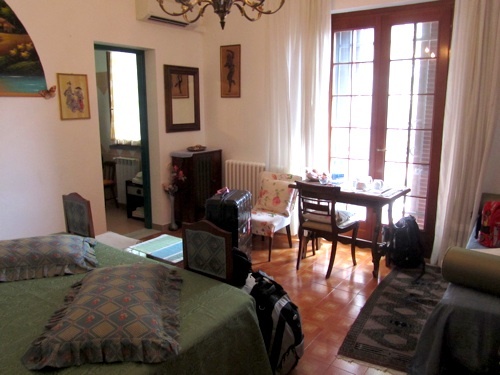 The beautiful Tuscan house is located in the suburbs, and the rooms were fabulously spacious. We were welcomed with biscuits and cakes in the room, and it was convenient having tea and coffee-making facilities in the room. There are four rooms available, but incidentally, we were the only guests in the house because Carla and Mario were closing their B&B services for the summer the next day. I was glad to have just made it in! We had a very comfortable sleep, and ate very well at breakfast the following morning. 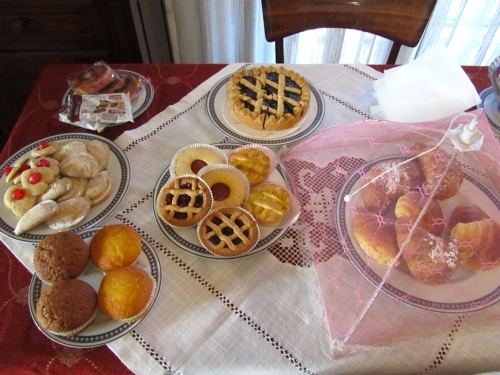 Though we were only 2 adults and 1 child eating breakfast, Carla provided a large spread for us including several kinds of cakes and biscuits, fresh fruits, salami and cheese. 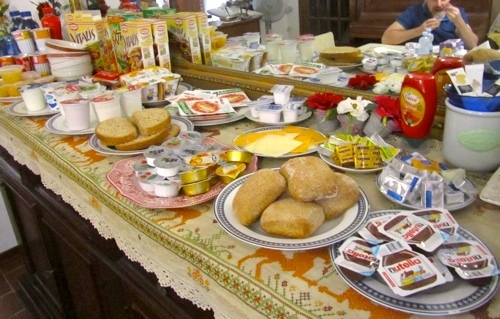 The highlight of breakfast was definitely the cakes and pastries and other baked goods that were sourced freshly made. Carla was also helpful in pointing out safe and unsafe foods for our allergic son. There was a lot of food, and Carla told me to pack some for the train ride to Cinque Terre. It was truly a pleasure to stay in Carla's and Mario's beautiful home, and B&B Carla is the epitome of what a B&B should be!